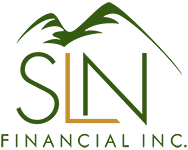 February 1, 2017 - Five Financial Questions to Ask in Retirement | SLN Financial, Inc. Enjoying a comfortable retirement depends on how well you prepared ahead of time to support your desired lifestyle — and how well you keep a pulse on your financial wellbeing after your retire. You may need to periodically check in and ensure you can continue to afford retirement and healthcare needs, no matter how much planning you did beforehand. To help you analyze your financial standing, here are five financial questions to ask yourself in retirement. 1. Should I downsize my home? Often, retirees end up living in homes that are larger than they need. With these homes, you can have higher estate taxes, increased utilities costs, larger mortgages, deeper maintenance needs, etc. All of these ongoing costs add extra financial burden to your monthly expenses. To determine if downsizing will help you financially, add up all these expenses to figure out how much your home is costing you. You’ll also need to account for other factors such as if the costs associated with selling and buying would be affordable for you and if the location you’d move to would increase any of your living expenses. 2. Do I still have debt holding me back? The Baby Boomer generation is entering retirement with an increasing amount of debt. In fact, 28% of middle-income Boomers state that more than 40% of their monthly income goes toward debt. Gaining a realistic perspective of how much debt you’re carrying is essential for your budgeting efforts. You may find that you can pursue financial strategies that help you reduce your liabilities and free up that money for other needs. 3. Should I consider a part-time job? While many people hope to retire and never work again, the reality for some retirees is that they need supplemental income to support their lifestyle. In 2015, 794,000 people 55 years old and over held part-time positions for economic reasons. If you find that you have gaps in your income, working part time may be a helpful strategy for you. Whether it’s for additional “fun” funds or essential living expenses, the extra boost in income could make your retirement more financially comfortable. 4. Am I paying into unnecessary life insurance policies? Once you retire, life insurance may not be as important as it was earlier in your adult life. While people need this protection while they are working and raising a family, their needs evolve once their children move out of the house and they stop working, among other factors. For this reason, you may be carrying life insurance policies that no longer reflect your current needs. Revisiting these policies is a helpful place to look for money you could use for other reasons. 5. Am I efficiently managing my healthcare expenses? A 65-year-old couple that retired in 2016 can expect to pay an estimated $260,000 on healthcare costs during retirement. And with people living older than ever before, retirees need extra money to ensure they can cover healthcare expenses for a longer time than in previous generations. Take an audit of your average medical costs and compare them with how much coverage you currently have. From there, you can see where you have gaps and any ways that you can reduce your expenses. Maintaining adequate income throughout retirement can help ensure you are able to enjoy the quality of life you prefer. To explore ways that you may be able to restructure your financial responsibilities and create the additional income you need, feel free to contact us.